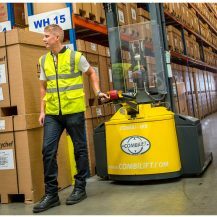 The Combilift is the world’s first IC engine-powered all-wheel-drive multidirectional forklift. 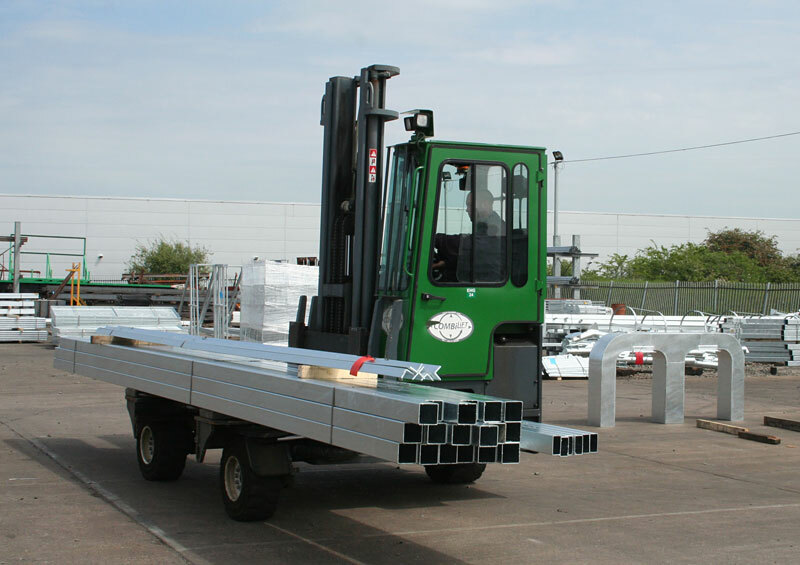 It is actually a combination of forklift and side-loader, and is highly manoeuvrable, very safe, very cost effective and supremely efficient. 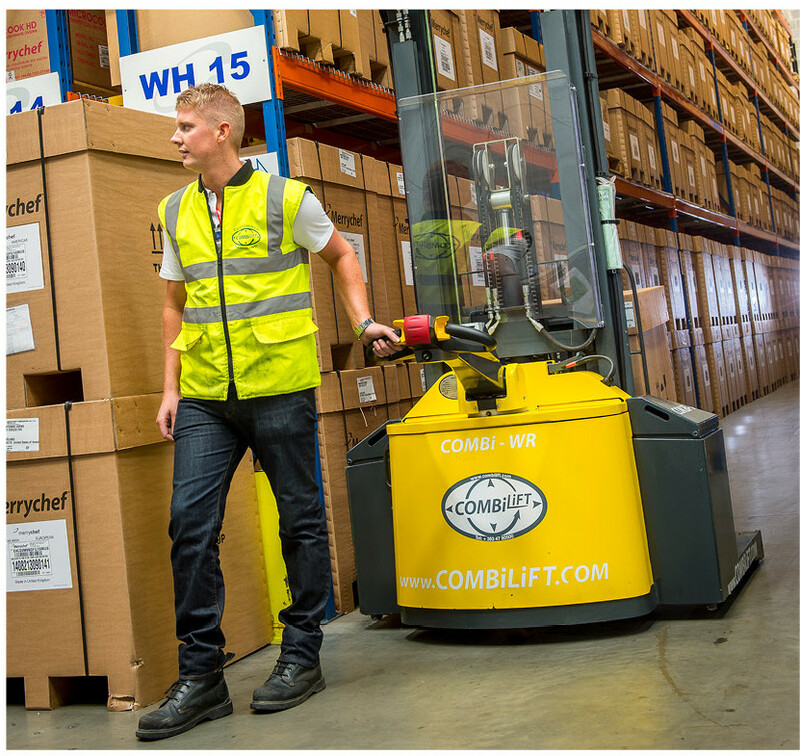 What’s great about the Combilift? 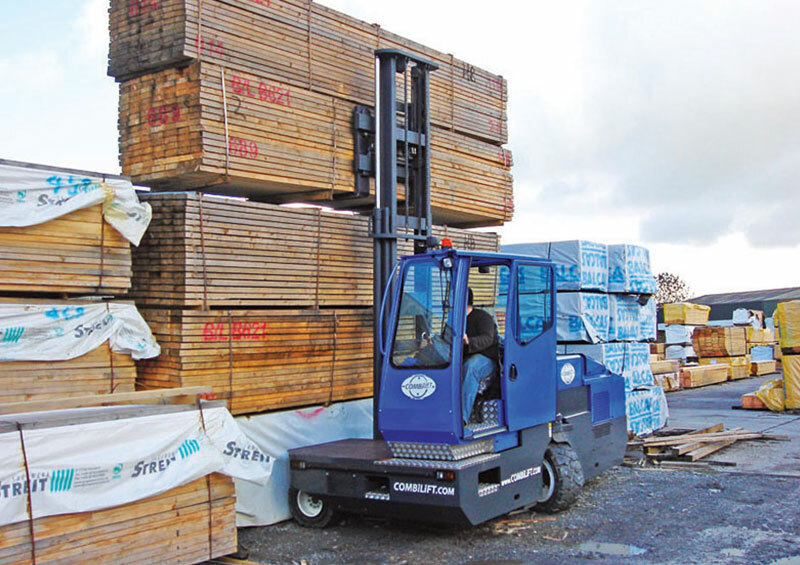 The powerful Atlet Tergo Forte UFS Fourway is 3 lift trucks in 1 (reach truck, counterbalance, and side loader)! It is perfect for quickly and safely handling long and bulky goods. 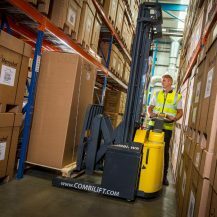 Increase space utilization, productivity and lower labour costs by handling both long loads and standard pallets (lifting up to 29.5 feet/ 9 meters). 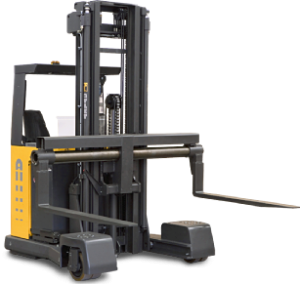 The Atlet fourway reach truck can be driven with precision in all directions, from “crab walking” to diagonal. 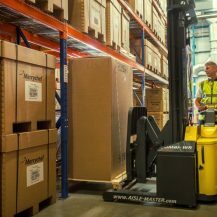 The Atlet UFS reach truck acts like a side loader, cutting down aisle widths to 7.5- 9.8 ft. As a reach truck, the UFS is made to endure high pallet handling for facilities that require high throughput. 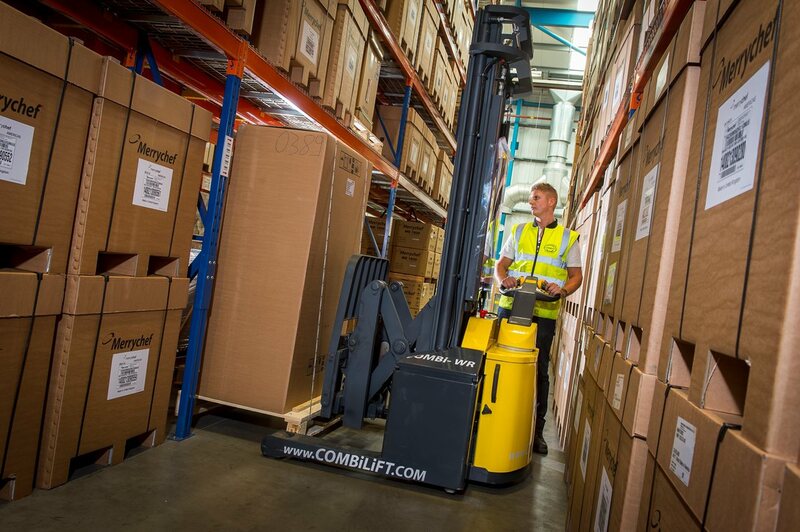 With a high battery capacity, superior acceleration, and a top speed of 8.7 mph, the UFS Four way reach truck is sure to increase handling efficiencies in your warehouse operations.